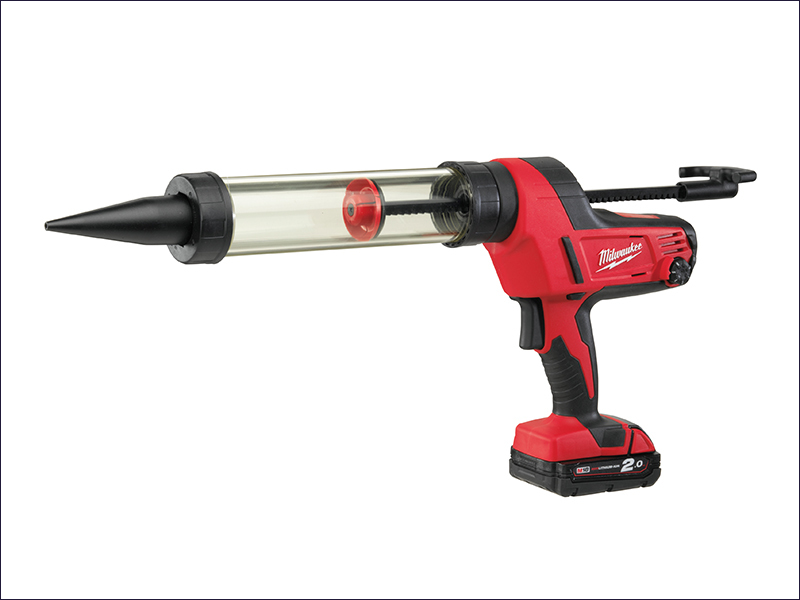 The Milwaukee C18 PCG/400T Cordless Caulking Gun has a large robust plunger design to ensure constant flow, reduced blow back and expulsion of all sealant from the cartridge. The caulking gun delivers optimised performance with all construction adhesives and cool temperatures, with up to up to 4,500 N of force. It has dial control with 6 speed settings to allow for maximum bead control. An anti-drip feature prevents unwanted dripping when the trigger is released. REDLINK™ overload protection electronics in the tool and battery pack provide excellent system durability. 1 x 2.0Ah Li-Ion battery, charger and tool bag included. Max. pushing force: 4,500 N.